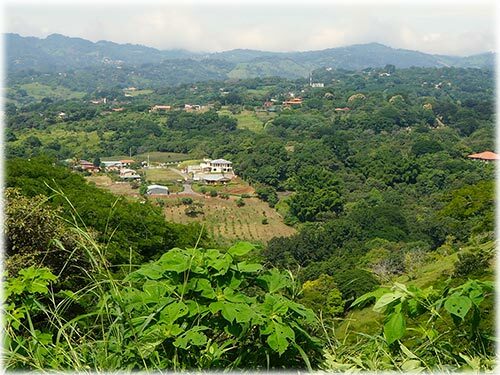 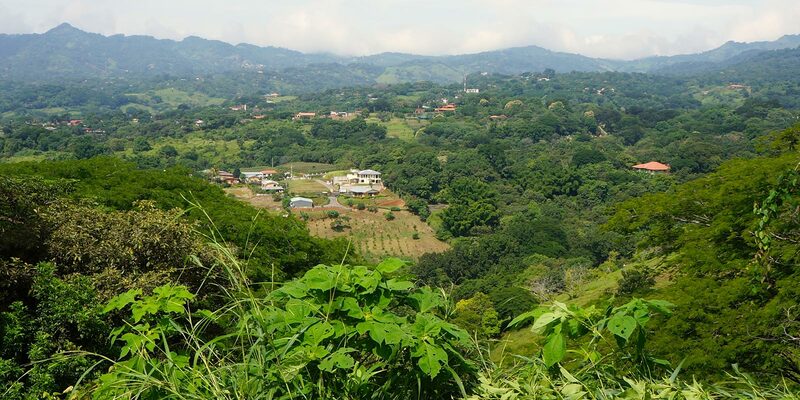 The rolling hills of Atenas are now offering more than the best climate in the world, spectacular views and friendly neighbors. 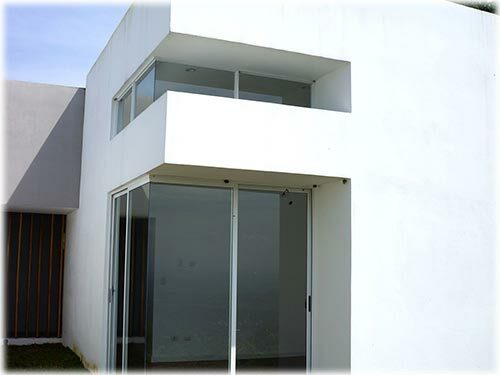 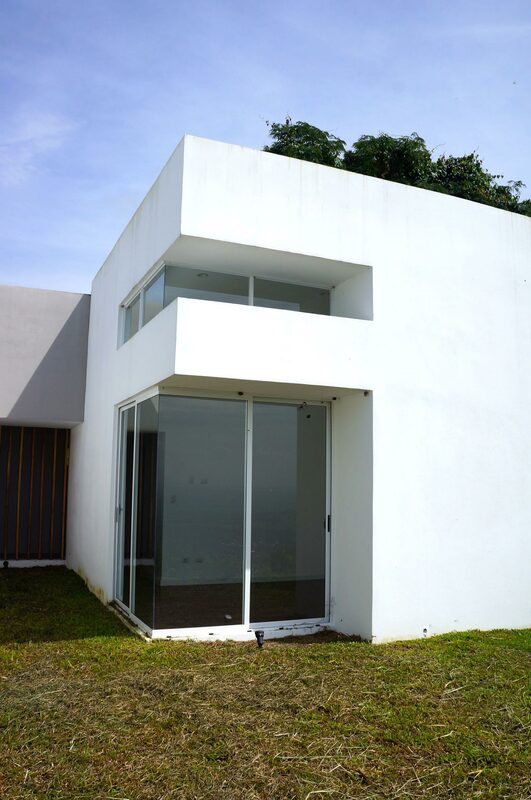 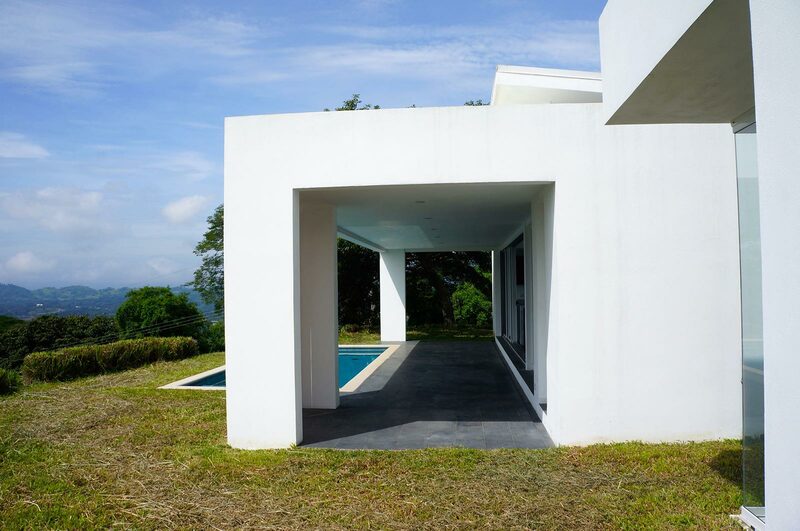 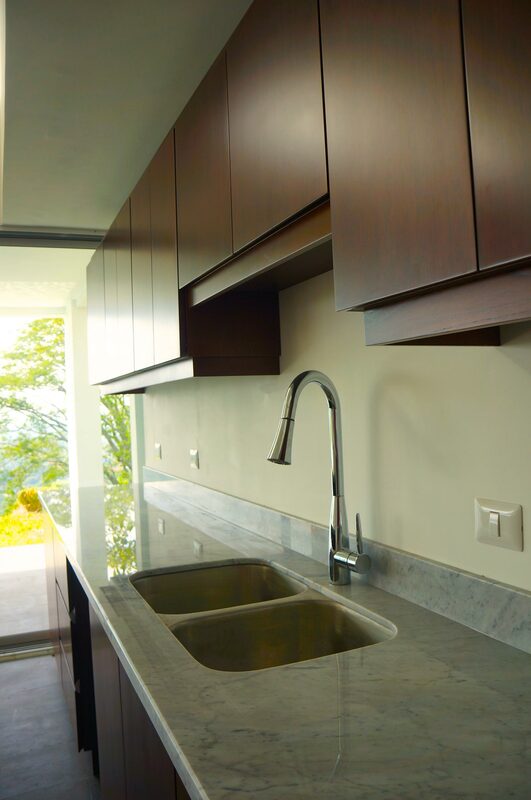 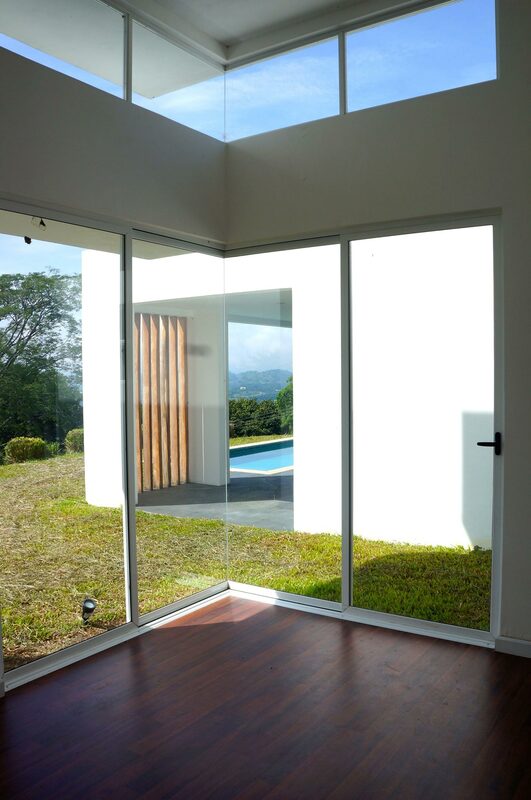 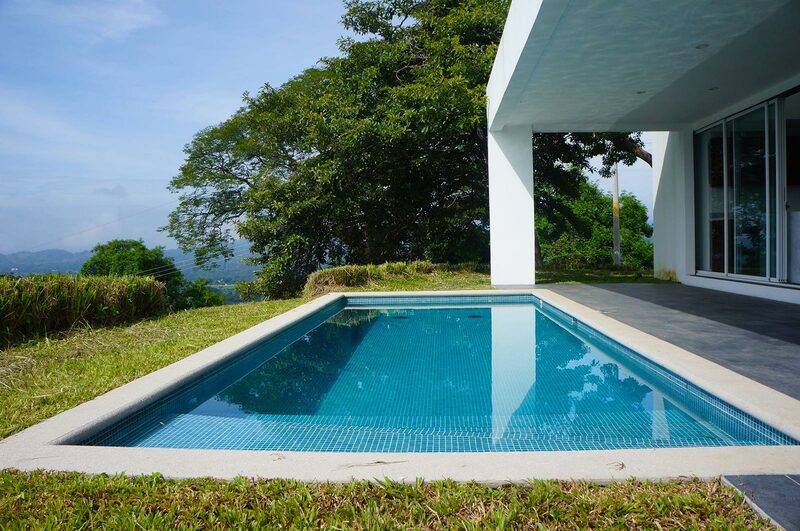 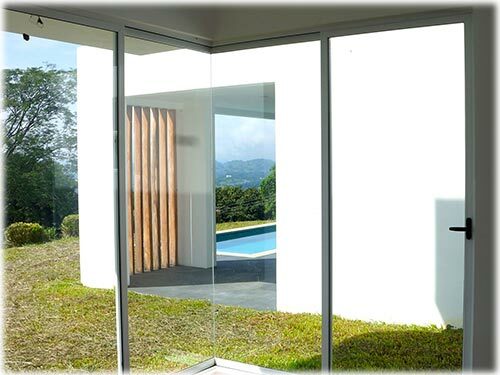 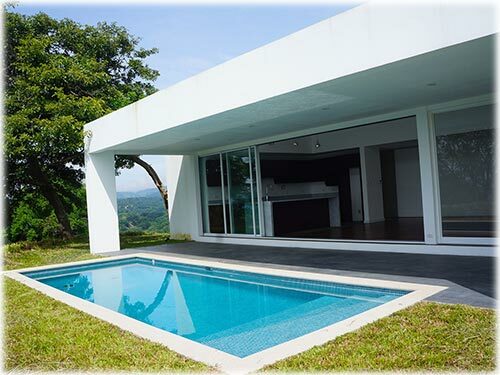 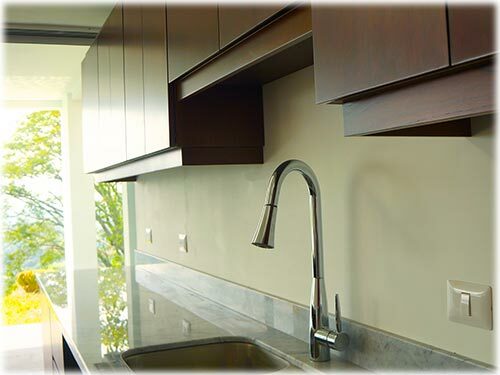 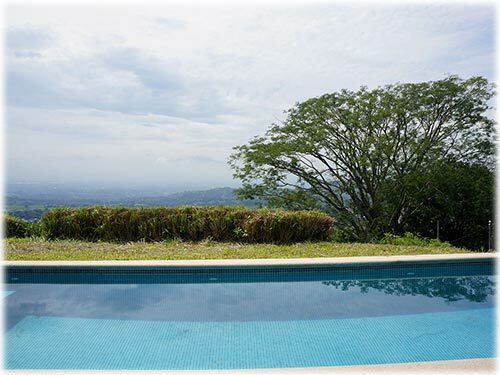 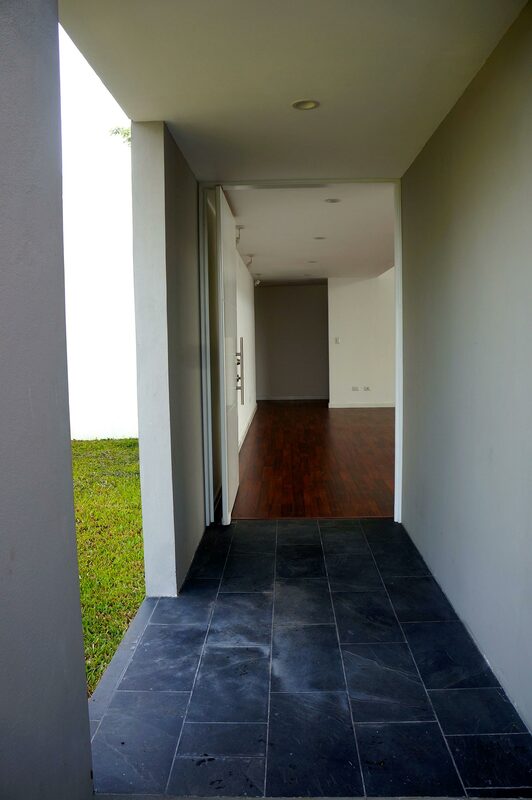 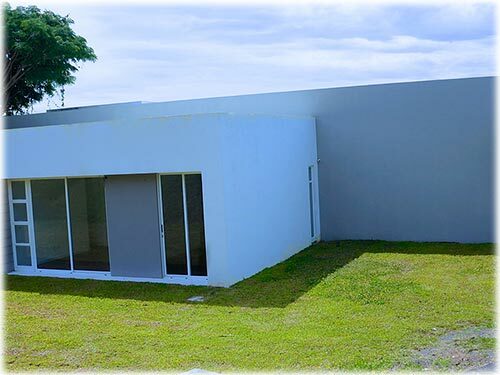 This architectural jewel is available for anyone that wants to enjoy one of the greatest locations in Costa Rica. 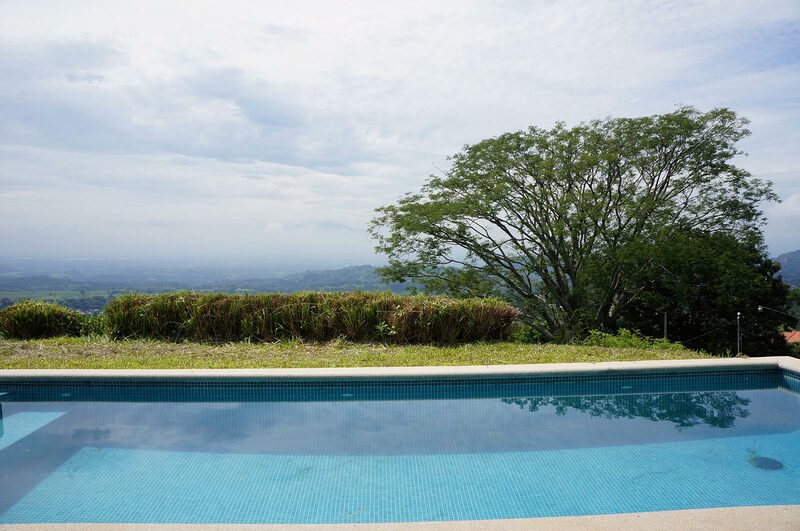 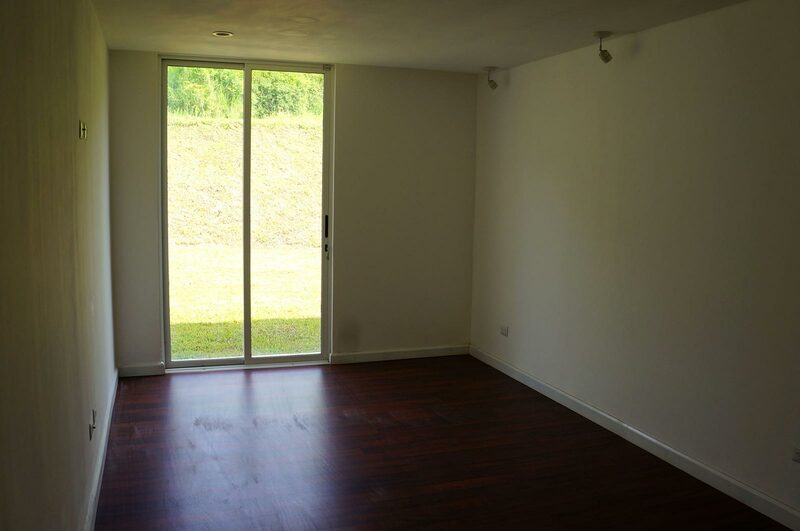 Privacy, security and VIEWS are warranted, not only because you’ll be at the top of the mountain, but also because this property is in a gated community. 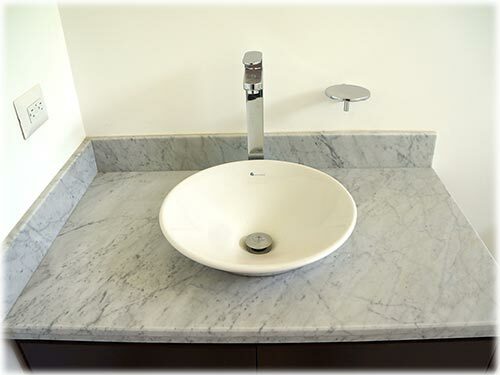 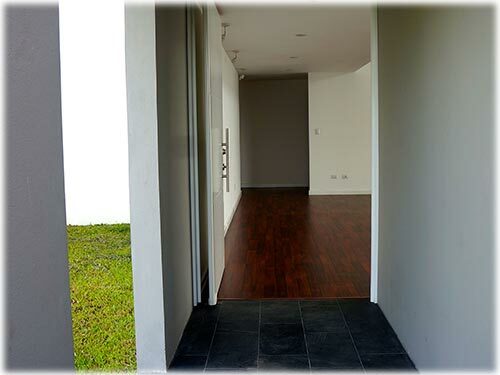 Enough space to park and a sense of sophistication as you get the first glimpses of this residence, welcomes you. 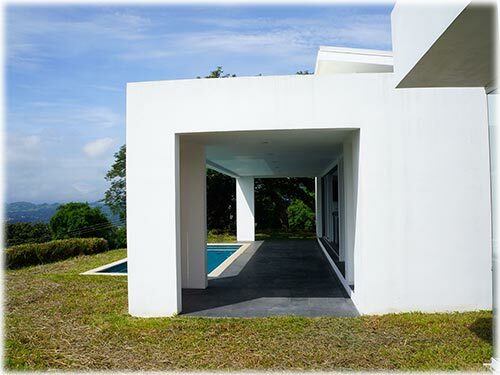 Tropical beauty and amplitude on all the surroundings complement your steps towards the inside of the building. 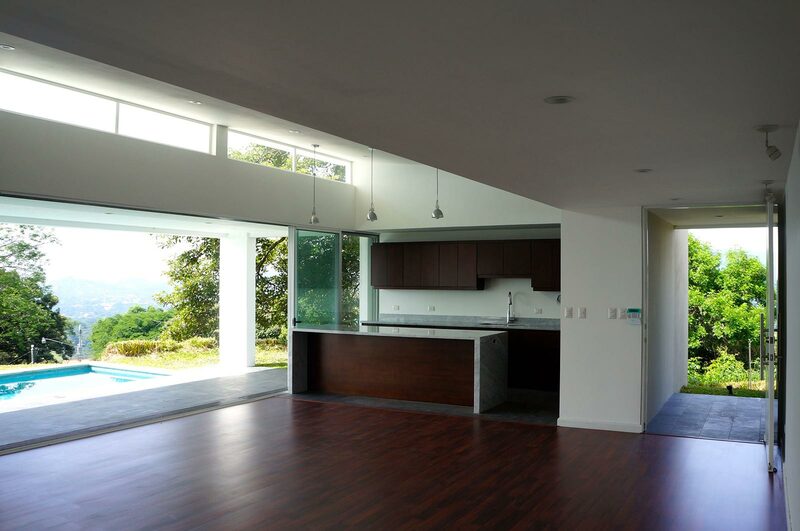 A superb living room that integrates the kitchen and the terrace clearly shows the high level of modern contemporary concepts used to build this place. 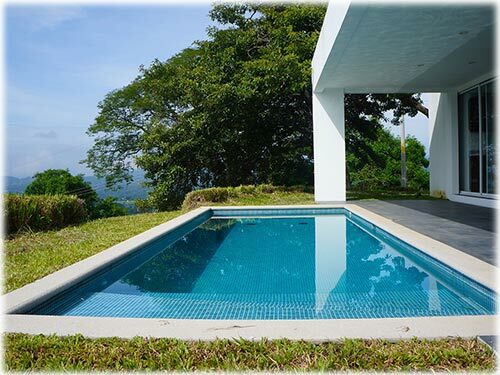 A swimming pool next to the terrace can be a wonderful observation platform to the inspiring 180º view of the Central Valley. 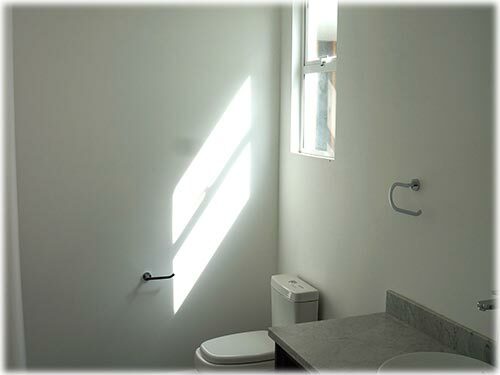 Half bathroom completes this social part of the house. 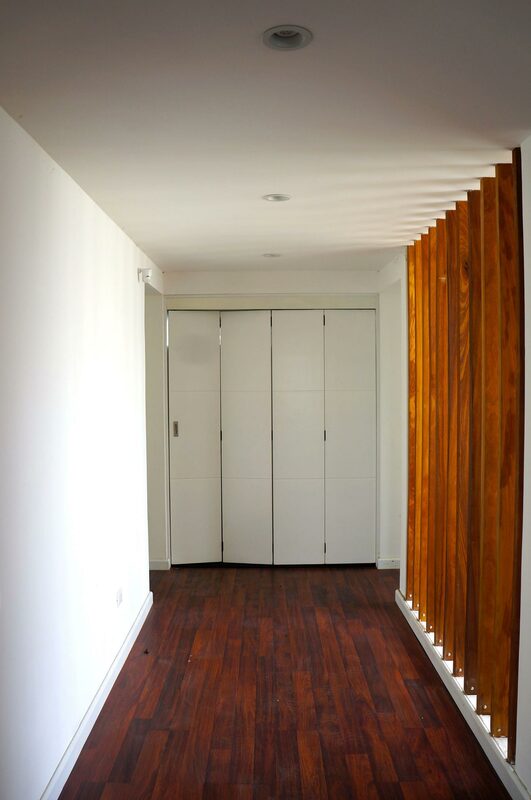 A more intimate area at the end of the hallway is found where the bedrooms are located. 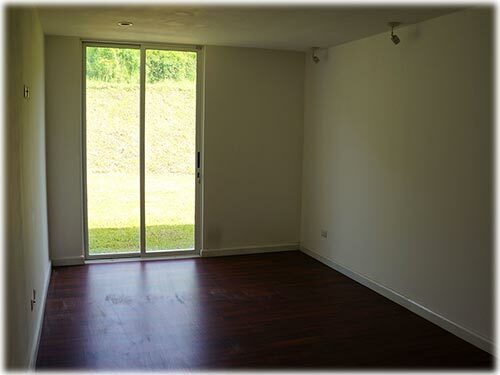 One piece can be used as a studio or an office, the other two spaces are meant to be comfortable resting places. 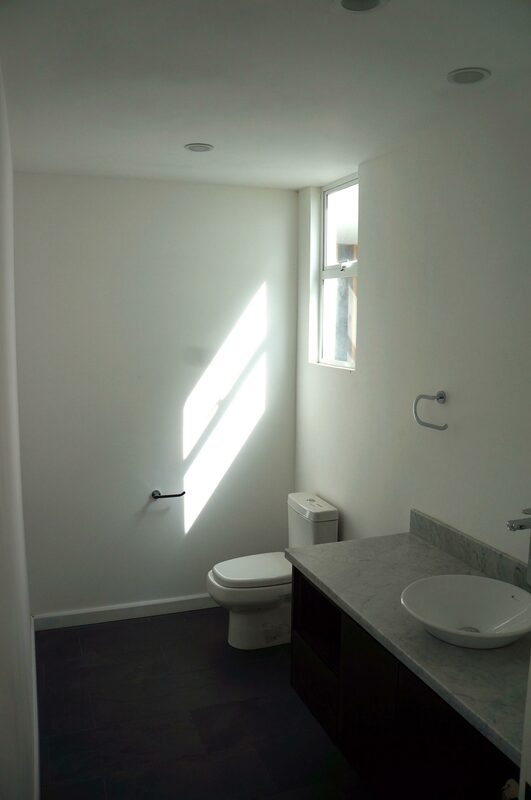 All of these quarters share a bathroom. 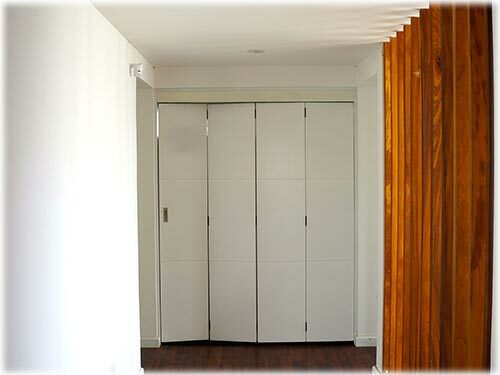 A linen storage facility and a laundry area are associated with the hallway. 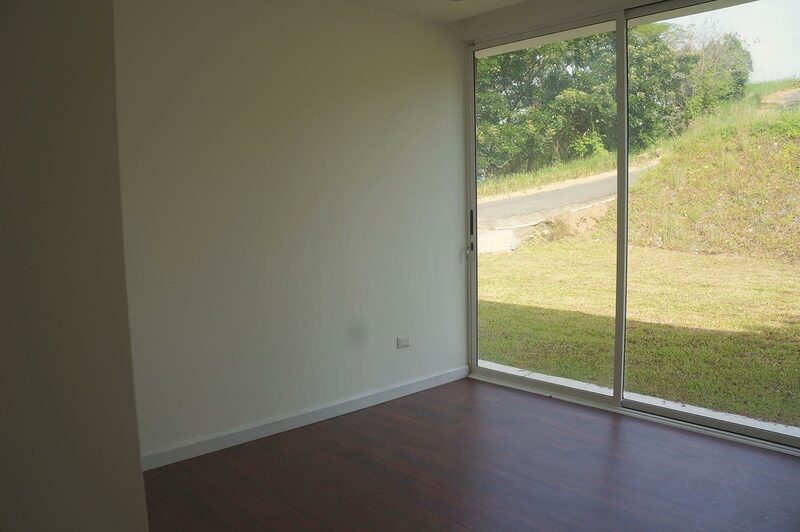 The master bedroom has it's own special features. 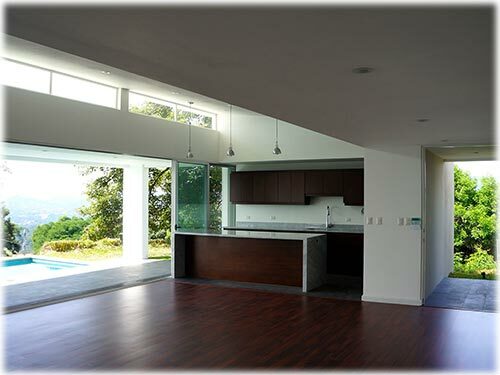 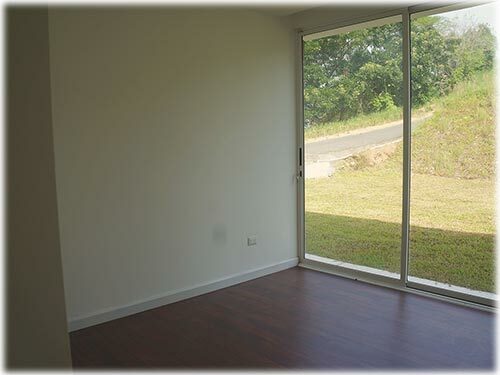 Great luminosity, the view and nice proportions give this space that different feeling that the owner deserves. 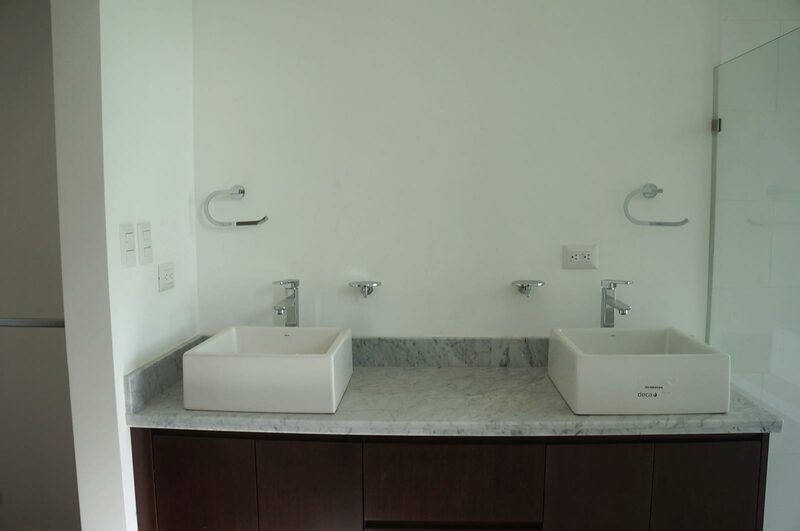 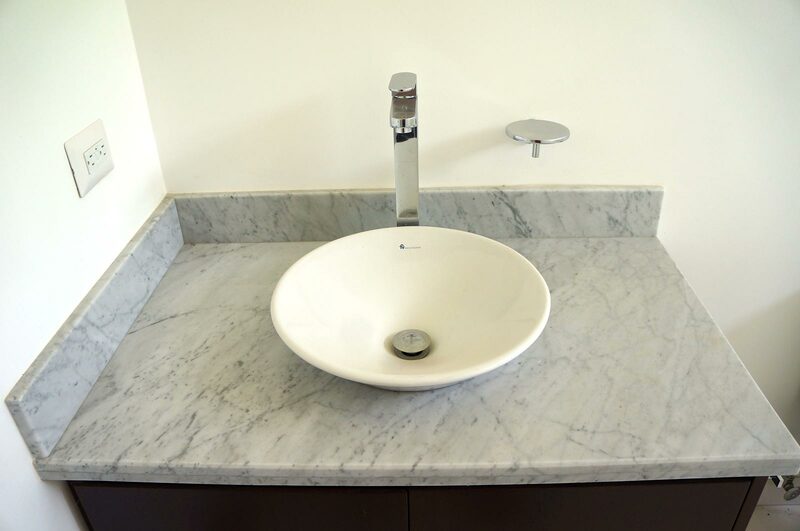 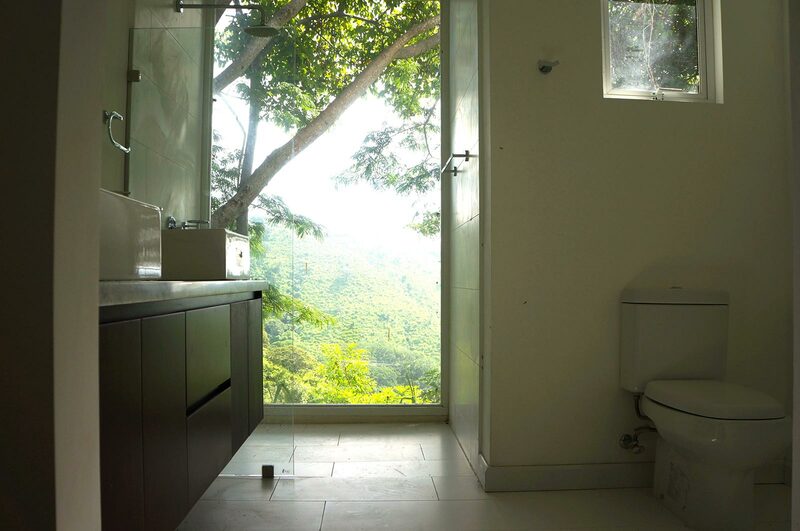 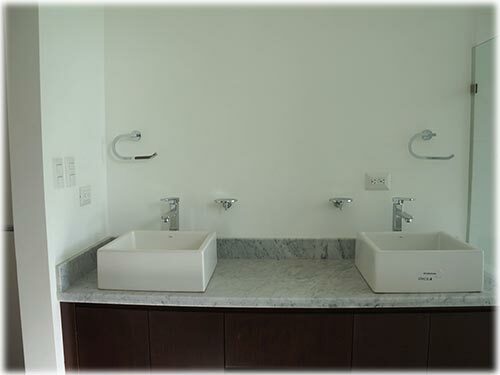 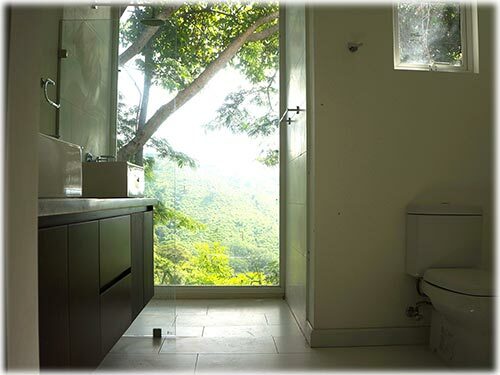 The bathroom boasts a nice walk-in-closet, double marble vanity and a glass wall that allows you to enjoy Costa Rica's biodiversity while taking a shower. 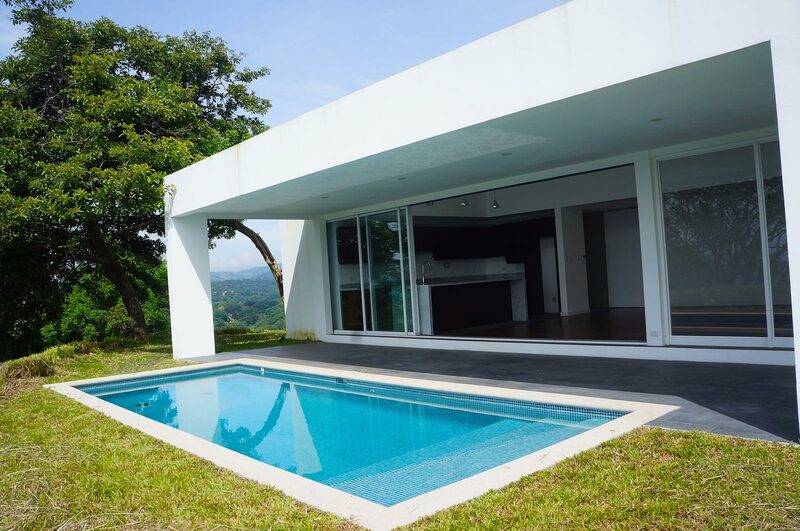 The house is sitting in more than five thousand square meters, a corner of this generous terrain is planted with coffee, so you can grow your own coffee!